13 Benefits Of Charcoal-Do You Know The Benefits Of Charcoal? - You Are A Genius You Are A Genius: 13 Benefits Of Charcoal-Do You Know The Benefits Of Charcoal? Charcoal is one of the most disregarded products at home, which is the most important necessity that is supposed to be needed and used in every home, no matter how small the home is. Most of us and most families too only see the need for it when it is time to set the fire for Banku. However, if you really need first aid at home, always remember that charcoal is something you need to have on you all the time. You might not know this but it is one of the most active medicinal products you can have at home due to its poison extraction ability In case you never gave it much attention, this is the time to do so. 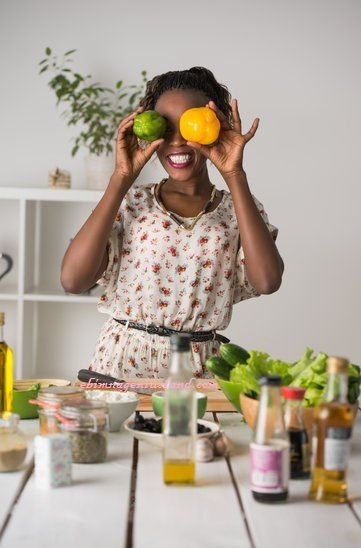 Never neglect it, Here are 13 benefits of charcoal you need to know about just for the benefit of you use and for others as well. Most times we wear a shoe, and because of the sweat under our feets, when you remove the shoes, it really stinks and gives out a dirty and smells or odour, just get some charcoal & put it in them. Do you have any bad smell in your room? Drop some charcoal where you suspect the smell could be coming from. Does your fridge or freezer smell? Put a piece of charcoal in it. Do you have strong body odour? Just make a powder out of charcoal & use. Charcoal is very good at getting rid of bad smell. Ever wondered why your parents always scooped out the ash from the coal pot to pour in the hen coop or toilet before sweeping? That was to get rid of the odour. Now I just need you to try this and see if it will really work out for you, I have participated in it before publishing this post. If you want your vegetables to be fresh all the time, just make a solution out of charcoal & leave your vegetables in them. some might like to cut the vegetables and leave it inside the water, most times we leave bitter leaf in the water, just put charcoal inside the vegetable and see the freshness of the leaf even after 10hours. All you need to do to keep foods and vegetables fresh is to drop charcoal on them and see how this works. Thank me later. These days, people complain about the use of fertilizers on plants & vegetables, making them unwholesome & poisonous. If you have charcoal, you don’t need to worry about this. All you need to do is leave the vegetables in a charcoal solution overnight & it’ll take care of the toxins. If you suspect any food contains too many chemicals, just drop them in a charcoal solution for some hours & you’re good to go. You will just see it yourself and give the results yourself too. It's very common to the hearing of a lot of people, but it really works. If you want to whiten your teeth, pay no attention to all these adverts on whitening chemicals & technology. Just get yourself some charcoal & grab hold of a plantain stalk or toothbrush. 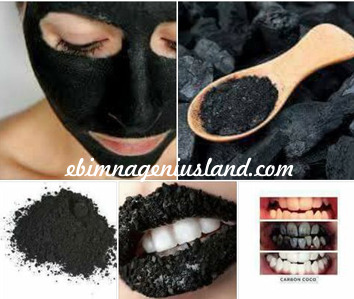 Make a powder out of the charcoal, mash the tip of the plantain stalk, dip it into the charcoal powder & brush your teeth with it for a week or you can still use your toothbrush with the charcoal and wash how it goes, just for one week. Sometimes we might forget to warm the soup in the night, and the next morning, the soup must have changed taste and smell too, Did your groundnut soup or palm nut soup go bad? No need to worry about pouring it all away. Just put it back on fire & drop a piece of charcoal in it. This will extract all the bad taste & smell & restore the soup to its fresh state. Trust me and try it out first, no need to doubt. Do you have a hangover out of a drink out with friends the previous night? Just have some charcoal with you & chew on it. To make it more effective, make a nice solution out of it & drink. You’re good to go, It's either you vomit those things out, or it detoxifies it in your belly. If you mistakenly did some wild mixing & feel it can knock you out, just add some charcoal to the mixture & your problem is solved. Or if you took in too much alcohol, just drink some charcoal solution it will help in reducing the volume of alcoholism in the stomach, But mind you, don't misuse this strategy!!!. Do you have a situation where someone’s wound has become so infected to the state doctors are saying they have to cut the affected area? Don’t stress over it, get a large amount of charcoal powder & pour it on the wound. This will extract all the poison from the wound & also help it heal faster. If you have a cut & you want to treat it fast, just get some powdered charcoal & pour on it, you will be surprised how fast it will heal. Do you have pimples, acne or any skin disease you really want to get rid of or do you want a very smooth face or skin? Are you having rashes on your private parts? All you need is charcoal. No need for all those chemicals you buy in the market or stores, just Make a thick solution out of it & smear it on your body & leave it on for some hours before taking your bath. It will leave your skin smooth & fresh. Not all stains are meant to go and buy Gik stain removers or hypo stain remover for, just try charcoal. Do you have some stubborn stain in your kitchen, washroom or on your tiles? You actually need charcoal to get rid of it. I know you’re imagining how this black stains product can actually remove stains right? Just try it, it works like magic. If you ate or drank something & feel bloated, charcoal is the best solution to get rid of the bloating. Making a solution out of it & drinking helps eliminate all the bad cholesterol you have stored in you. Charcoal can treat all ulcers. Just make it a habit to always chew some. At least for one month. Also, make sure you shew powdered before swallowing. A lot of people are neglecting the healing power of charcoal, never you be among them, make sure that as you read ts post today, that you as well saved a lot of lives with these guidelines, you don't who can save might be someone you care about so much, or someone that your relative care about.